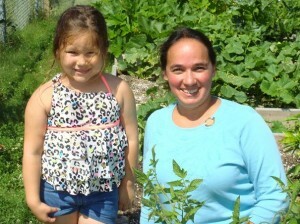 As CFTC evolves its approach to food security in Canada, we are strengthening our commitment to participatory, community-based support and capacity-building to expand the reach of our programs beyond school breakfasts and lunches–which will remain a mainstay of our work–to address issues of nutrition and food security at the broader community level. Our New Brunswick-based First Nations partner communities are on their own journey to change and have many learnings and experiences to share with each other. Cheyenne Mary, part-time New Brunswick Coordinator, spoke with us to share what this new role entails and why it’s an important way to increase our impact for some of Canada’s most vulnerable children. Tell us a little bit about your background and experiences prior to joining the CFTC team. I am a Master’s-educated Aboriginal nurse, and I’ve worked in several First Nations communities in NB. Elsipogtog was my first nursing job out of nursing school 11 years ago. And I’ve also spent some time with the federal government at Health Canada working at the First Nations and Inuit Health Branch; that role was maternal health and child nursing and my coverage area was all of Atlantic Canada. What most interested you in the role with CFTC as New Brunswick Program Coordinator? My area of focus is in community nursing. Even though the CFTC role is not a nursing job per se, it is very much a community health job and has a lot of similarities to community health nursing. It’s about pulling in resources, getting people to work together and to have a common vision for what the community development project is all about. Community nurses play a key role making sure people are engaged and working together. What is the scope of your responsibilities? The scope of the work with CFTC is to be present in the three First Nations communities that CFTC funds: Tobique First Nation, Elsipogtog First Nation and Eel Ground First Nation, each of which run full breakfast and lunch school feeding programs. All three also have school gardens (two of these are funded by CFTC). My job is to be an accessible resource to the project, available to the community on a more regular basis than what CFTC in Toronto is able to do. I am someone to contact who can be there tomorrow if needed, someone available for the community to “pick my brain” about school feeding, school gardens and other issues related to food, nutrition, and health. I’m fortunate to have known all the key players through my previous work. I actually live across the river from Elsipogtog and had worked in Eel Ground, so I wasn’t a new face, or someone the community needed to get used to. Because of my job at Health Canada, I had travelled to all three communities before and was familiar with the nurses and the dieticians in each. How important is it to be a member of the community yourself when working in these communities? It makes a world of difference to be a member of the community when working with the community. I have laid the groundwork in my work and personal life for developing a relationship, and having them see me as someone supportive and helpful. Because I’m First Nations, my kids are, my husband is actually from Elsipogtog, I understand their historical context, because it’s also mine. I know how the politics work, how it affects the project and the funding treadmill that these communities find themselves on. I know about sweat lodges, sweetgrass, and smudging to start a meeting or gathering–communities don’t have to spend time teaching that. Non-First Nations community workers have so much more to learn. What are you most excited about being able to accomplish in the role? What really excites me is the opportunity to be involved in food security. Canadians think about First Nations communities as being poor, and it’s true that in many communities there’s a heavy reliance on social assistance. But there is also a growing movement for people to do more things to help themselves. In the role, I spend time helping communities and individuals think about ways to approach food and nutrition on a tight budget: if you only have $100 for food, how can you stretch your dollar? E.g., making own pancake mix, potting up some ever-bearing strawberries so you have fresh fruit all year round. I get to encourage people to think about food differently. And then there are programs like Fresh 4 Less: people pay $15 for a basket and get $30 worth of fresh produce. This program is an amazing success story with a 30 percent participation rate in Eel Ground – much higher than in other communities that have Fresh 4 Less. What are your initial first impressions about the New Brunswick communities and the CFTC programs in place? In Elsipogtog, if it wasn’t for CFTC, they wouldn’t have a breakfast program at all. Some people look at that and say why are you giving breakfast and lunches in school for free; that doesn’t happen in mainstream schools. But to me, this is an example of a community that has found a problem and sought a solution to that problem. That’s what’s so great, there is such a strong community spirit. It’s part of the communities’ survival skills. When there’s an issue, it becomes a community concern. The community rallies together to support other community members. So they are trying to deal with drugs and alcohol, but they saw that there were kids not coming to school, kids coming to school hungry, coming to school tired. They weren’t able to learn. The community needed a solution, and giving children breakfasts and lunches at school was a solution; it was a way to get children to school, feed them, and help them to learn. CFTC was part of that solution. Have there been any early experiences you’ve had that you’d like to share with CFTC donors who are or are interested in becoming supporters of the New Brunswick work? Donors and groups like CFTC who want to work in partnership with the community–not in a relationship where there is a huge power imbalance, but as a partner–are deeply appreciated. Especially in Eel Ground – the CFTC organization has come in to work with them to achieve the goals that the community itself wants to achieve. It helps the community immensely to know they have allies. Communities have goals and dreams just like individuals, so to have an organization come in wanting to partner with them, not do for them, but work with them, makes a world of difference. It’s certainly recognized and appreciated in the community. Chief George Ginnish is so appreciative of CFTC and its donors, and for the work that is being done to support Eel Ground.